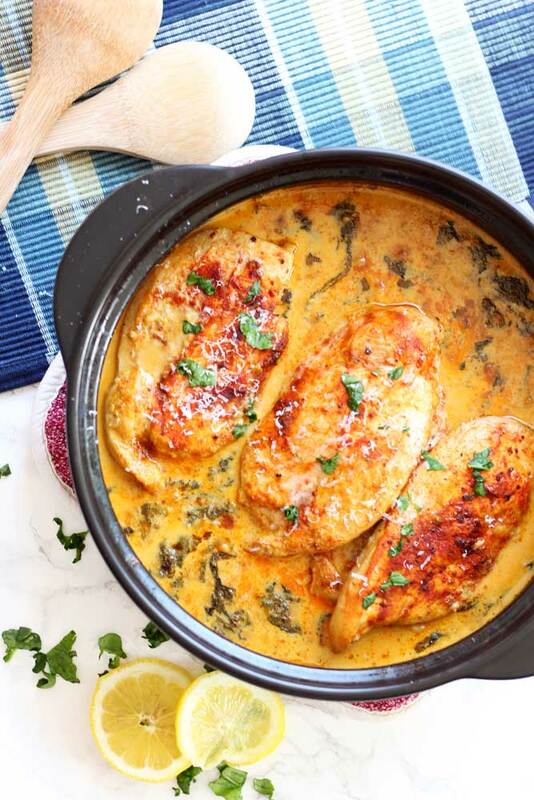 This savory Lemon Butter Chicken is super easy to make and just over the top in taste! Full of flavor, every bite is unforgettable. 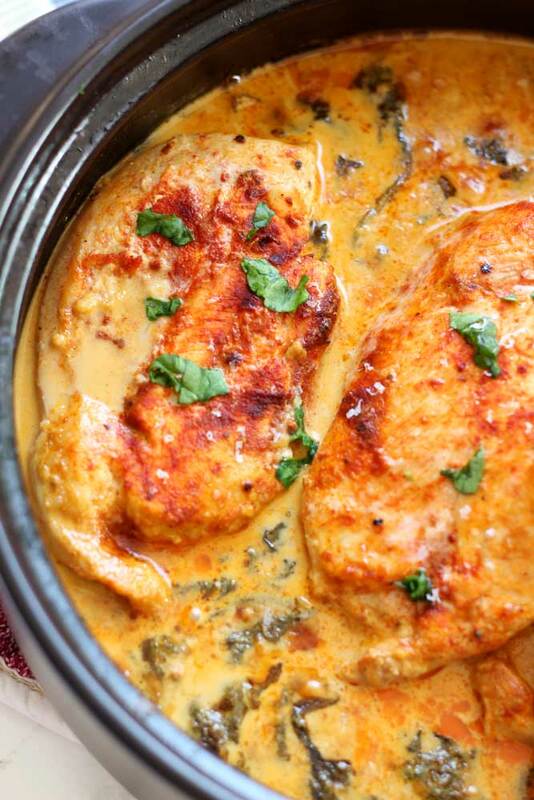 The lemon cream sauce mixed with fresh garlic and Parmesan cheese pairs perfectly with the tender and juicy chicken. So savory…this dish will leave you coming back for more! Perfect for any weeknight dinner! 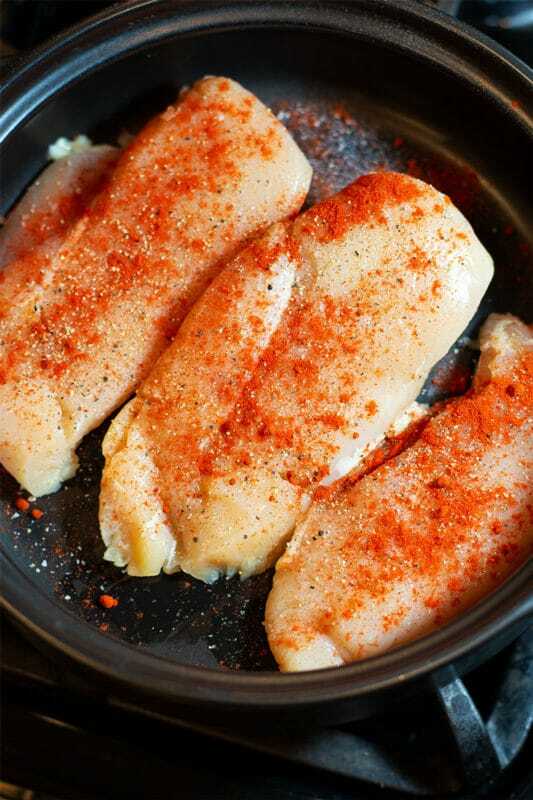 First, you’re going to start off by seasoning the chicken breasts with salt, pepper and paprika. Next, add unsalted butter and sauté the chicken for about 2-3 minutes, on each side. When it’s finished sautéing, you’ll set the chicken aside on a plate so you can sauté the garlic and butter. Note – the chicken is NOTdone at this point. 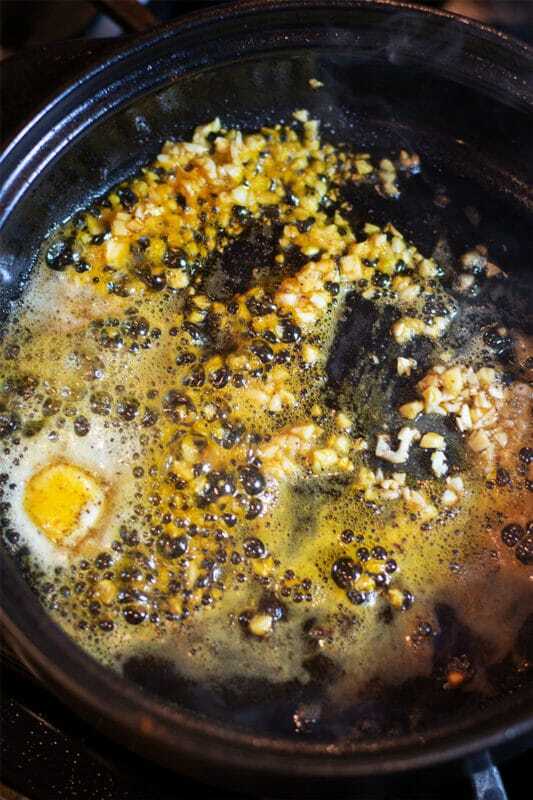 When the garlic is sautéd, you’re ready to start making the sauce. You’re going to combine the sautéd garlic, chicken broth, heavy cream, Parmesan cheese, lemon juice and thyme. Oh – and don’t forget to add that splash of wine! So YUM!! 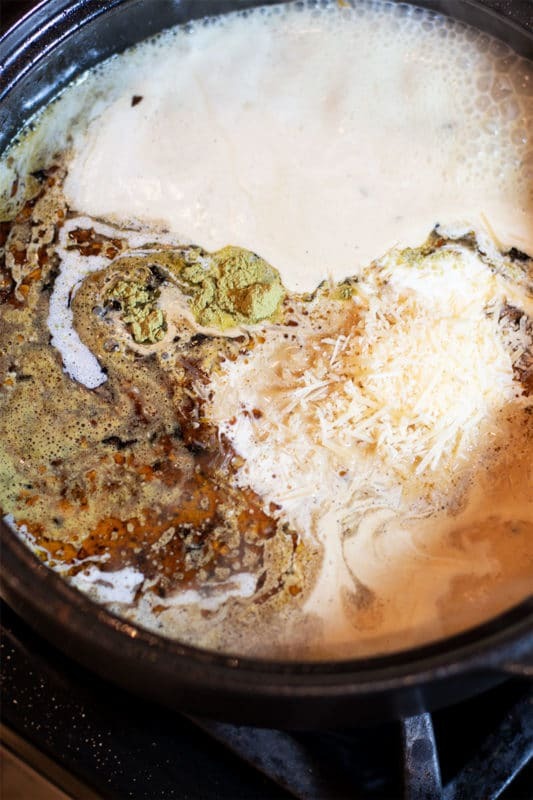 Now, you’re going to bring the sauce to a slow rolling boil. 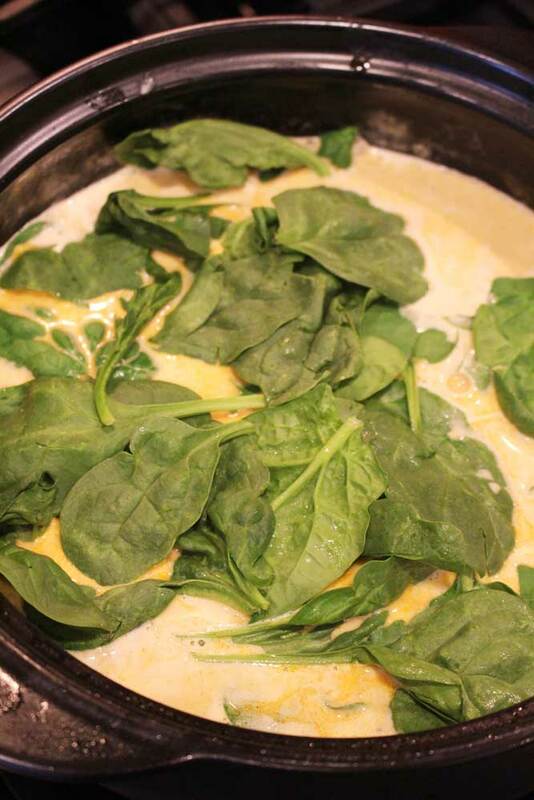 Next, add the fresh spinach to the sauce. Gluten Free – It’s gluten free. YEAH! Oven Safe Dish – This dish works perfectly in a Le Creuset Dutch Oven, but I used a Rockcrok from Pampered Chef and it worked amazingly well! Adding Additional Ingredients – If you want to kick this recipe up a notch and make it a bit more fancy, you can add in the Fresh mushrooms and Capers. I love the added flavor of both of these ingredients with this dish! You would simply add the fresh mushrooms and capers in when you add in the spinach and parsley! Serve over mashed potatoes, rice or your favorite pasta and it’s fantastic! It was inevitable. This dish became a family favorite! It looks and tastes like it took a long time to make, but it’s super easy and absolutely fantastic! I promise, you will devour every single bite down to the last drop! 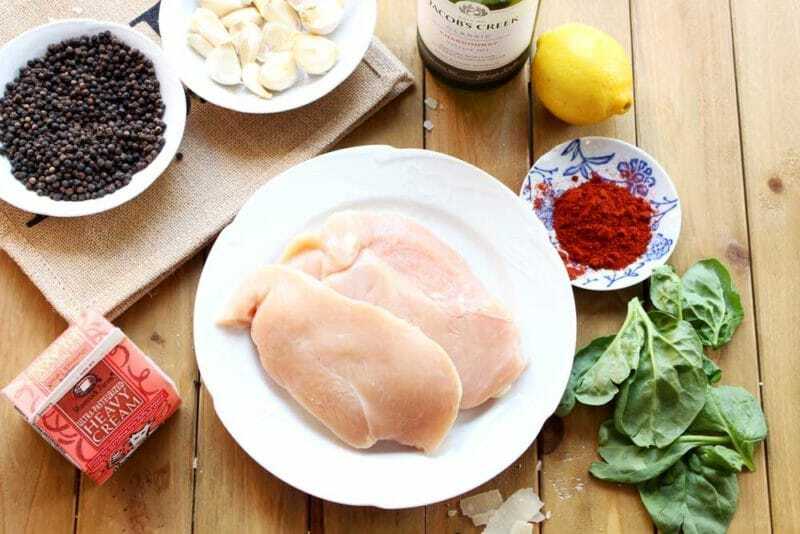 And if you’ve tried my Lemon Butter Chicken recipe, leave me a comment! I love to hear from my readers! And don’t forget to rate the recipe below!! 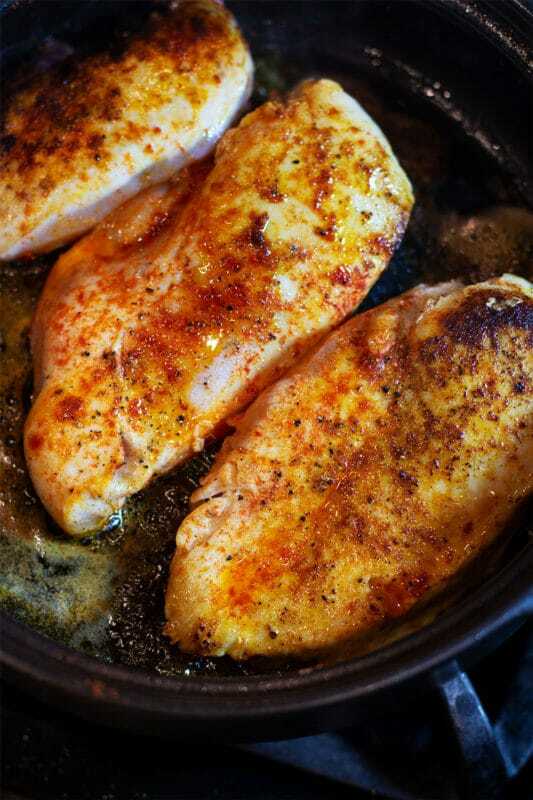 While the chicken is resting, return back to the same skillet and melt remaining tablespoon of butter in the skillet. Add garlic and saute for 2 more minutes. Stir in chicken broth, heavy cream, Parmesan cheese, lemon juice, splash of wine and thyme. Bring sauce to a boil and reduce heat. Add in the spinach and parsley and simmer until the spinach and parsley has wilted and the sauce has slightly thickened. Continue to cook the sauce about 5-7 minutes so the sauce becomes thicker. You don’t want the sauce to become too runny! Once your sauce is to the desired thickness, return the chicken to the oven proof dish. Remove the dish and let sit for about 5 minutes before serving. Top with fresh chopped parsley.